Kids deserve to play. 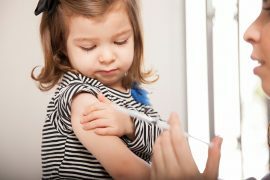 It is what makes childhood so fun and carefree, but that is not to say that play is only frivolous. Quite the opposite. 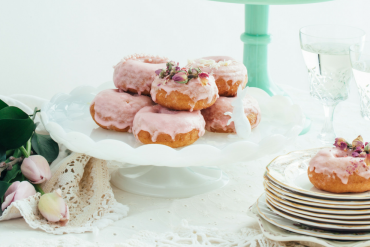 It can hone and develop a child’s motor and cognitive skills and nurture his creativity. Children learn best through play because it does not seem like hard work. Picking the right toys can also better learning, so how do you determine what toy is the most suitable for your kid? So if your child likes to stack items or knock things down, the play scheme for your child would most likely be building. The toy needs to be age-appropriate. 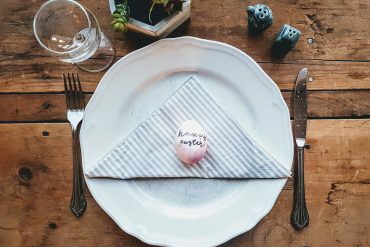 For babies and toddlers, pick fabric and plastic toys that have blunt edges to prevent accidents, because at their age, a lot of their sensory exploration is through taste first. As a younger child’s motor coordination skills have yet to be fully developed, opt for toys that have an easier grip. 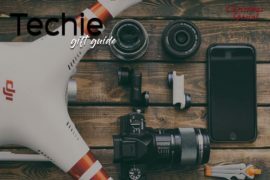 The toy you pick needs to be challenging enough to stimulate a child’s interest, since this will help him learn. 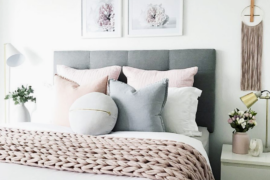 But Shepherdson reminds parents that they need to keep an open mind and let kids explore them at their own pace, as each child’s development rate differs. Ready for playtime? 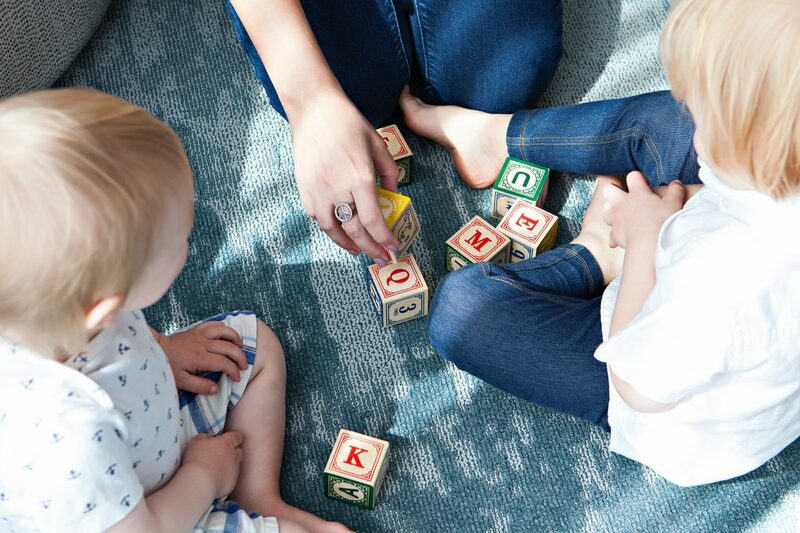 Here are some toys that are great tools of learning – they help with motor skills like hand-eye coordination, stimulate thinking, teach problem-solving, nurture creativity and empathy. 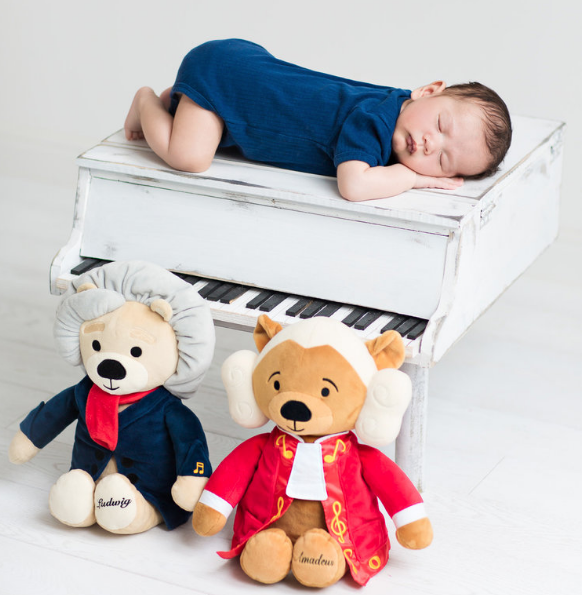 Not your ordinary plush bears, Ludwig and Amadeus teddies play 40 minutes of carefully selected tracks of sonatas, concertos and symphonies. 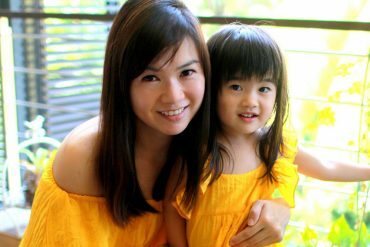 Studies show that introducing classical music early to children has multiple benefits, like better memory retention and improved mathematical learning. Use the magnetic shapes to recreate the picture shown on the cards. 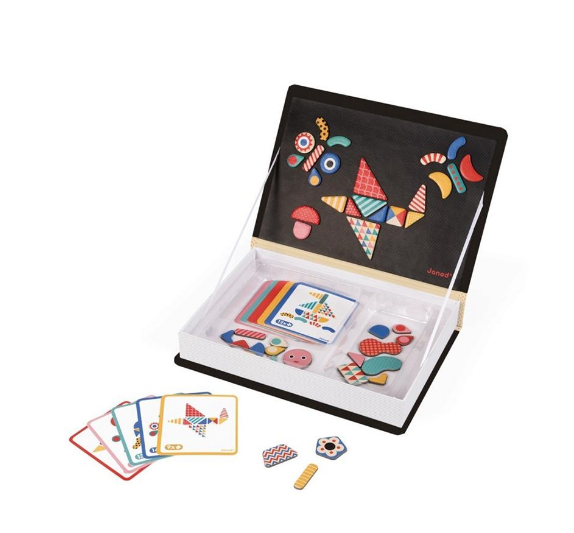 The educational game is based on tangram, which are Chinese geometric puzzle that can be arranged into various shapes. 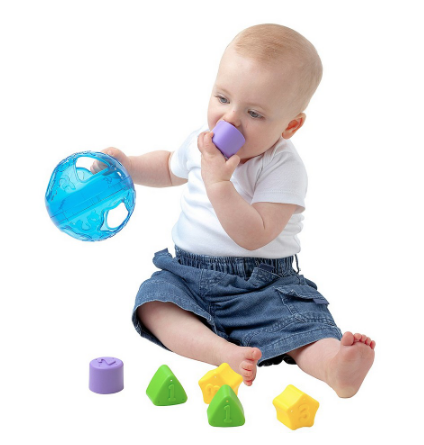 Babies learn how to fit different shaped blocks into the right hole, and then shake the ball to get them out. The blocks can also be used to teach them simple numbers. 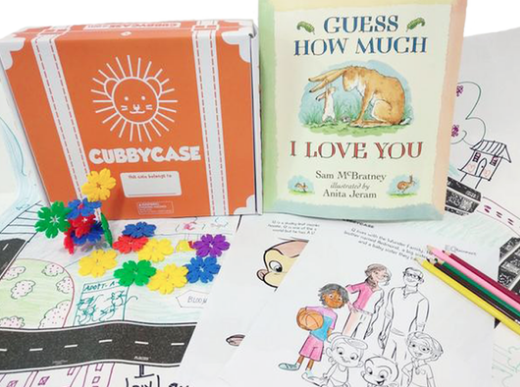 A comprehensive play kit that includes colouring sheets, flower blocks and curriculum cards. Kids get to be people-centric urban planners and mini-architects with this game, and by learning to design for others, it also nurtures their emotional intelligence. 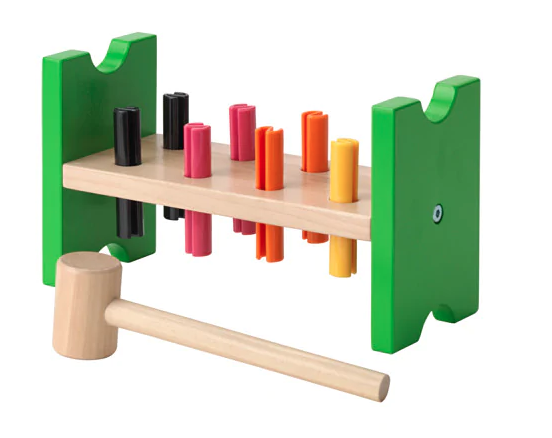 Chew-safe, budget-friendly, and easy enough that an 18-month old child can hammer the wooden pegs in. This does a bang-up job of developing motor control and hand-eye coordination. 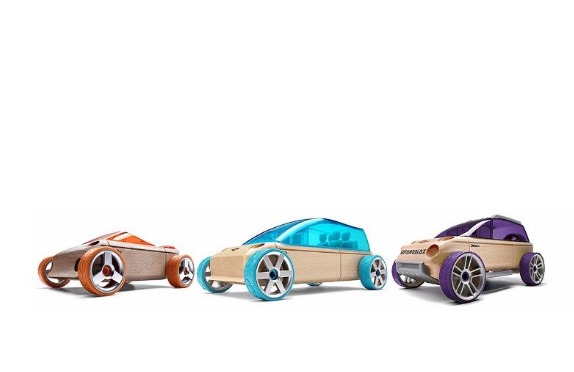 A modular wooden car set with three mini cars that come with interchangeable rims, wheels and roofs – that means kids can get creative and design a vehicle that is uniquely theirs. Five sides of fun to keep them entertained for hours. 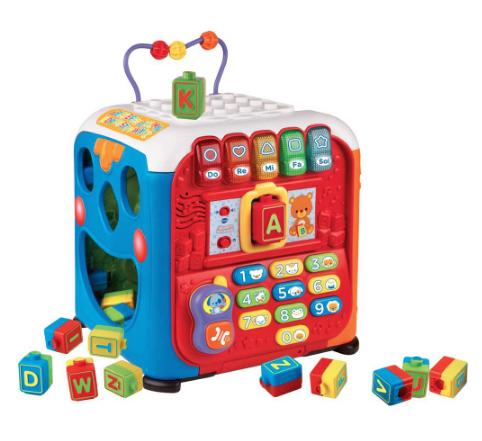 The self-contained cube with many colourful blocks, also plays fun phrases, sounds and happy songs, to teach the alphabet, numbers and shapes. 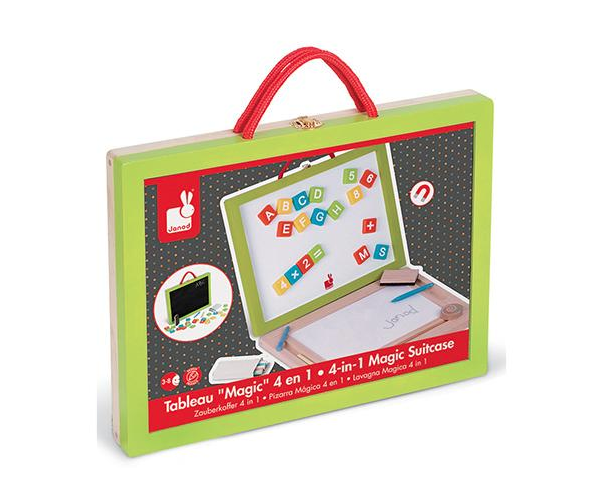 A blackboard, whiteboard, stylus, chalks, and magnetic alphabets and number blocks – everything you need to encourage alphabet literacy, writing and doodling. 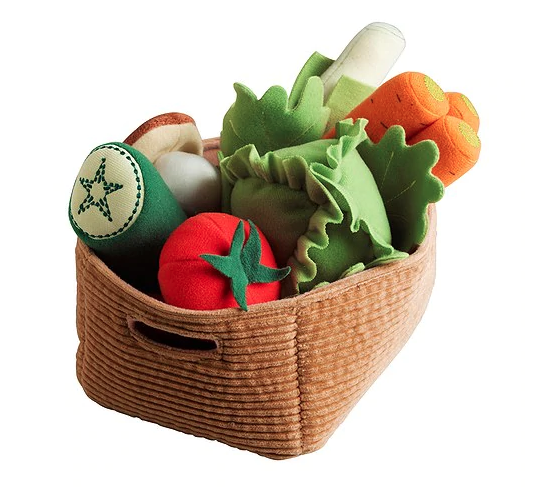 We love these fabric vegetables because they are safe enough for babies to help them learn about shapes and textures; for older children, they can be used in creative role-play to help develop their social skills and imagination.